When compared to the cost of 12 individual 1-month memberships. To purchase a Family Membership, you must be at least 18 years of age. Prices in Nintendo eShop. All prices inclusive of applicable VAT. Join via Nintendo eShop and receive a 7-day free trial (Individual Membership only). You can become a member by visiting the Nintendo Switch Online section on the left-hand side of Nintendo eShop on your Nintendo Switch. Join via Nintendo eShop and receive a 7-day free trial (Individual Membership only). Please note that automatic renewal applies. You can purchase a membership from the official Nintendo website. Please make sure that you’re logged into the correct Nintendo Account on the website before purchasing. Nintendo Switch Online paid membership cards (Individual Membership only) can be purchased at select retail and online stores. Simply redeem the code in Nintendo eShop on your Nintendo Switch. Memberships can be purchased using your Nintendo eShop balance. You can use a Nintendo eShop Card, credit card or PayPal to add funds to your balance. If you start a membership to Nintendo Switch Online, automatic renewal will be activated with the same validity period as the membership. With automatic renewal activated, the pass will automatically renew two days prior to the expiration date of the active membership. You can terminate automatic renewal at any time via Nintendo eShop. For each automatic renewal, the automatic renewal price will be deducted from your Nintendo eShop funds. 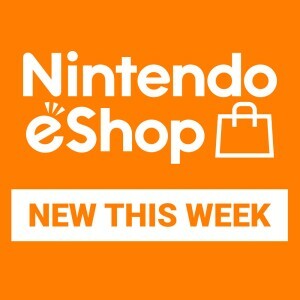 If you do not have sufficient Nintendo eShop funds, and as long as you have not selected “Funds Only”, the automatic renewal price will be charged to your credit card, or the PayPal account registered to your Nintendo Account and set as the payment method for automatic renewal at the time automatic renewal takes place. You can change your payment method for automatic renewal at any time from Pass Settings in your Account Information, found in Nintendo eShop. The automatic renewal feature is unavailable for Nintendo Accounts under the age of 18. Please note that you cannot change the country/region setting for your Nintendo Account if automatic renewal is enabled. In order to change the country/region setting, you must first terminate all automatic renewals. If you purchase or redeem a new Family Membership, automatic renewal will be terminated for any Individual Membership plan that is active for you or members of your Family Group. However, automatic renewal will not be terminated for any user who already had an Individual Membership plan or Family Membership with automatic renewal before they became a member of a previously established Family Group. For example, if a user has an Individual Membership plan, and then joins a Family Group, they will still need to terminate their Individual Membership plan. The Family Group setting allows you to group up to eight Nintendo Accounts (including Child Accounts) together as one Family Group. The Nintendo Switch Online Family Membership can then be purchased and applied to your Nintendo Account Family Group, enabling all Nintendo Accounts in that group to enjoy the Nintendo Switch Online membership service. Please note: one free trial period available per Nintendo Account. 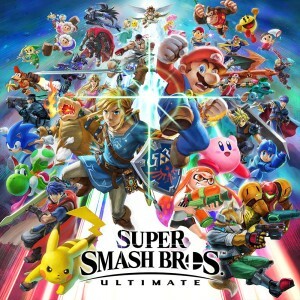 During the free trial, you can use the online play, voice chat via the smartphone app, Save Data Cloud and Nintendo Entertainment System - Nintendo Switch Online services. It’s not possible to purchase Nintendo Entertainment System Controllers during the trial period.